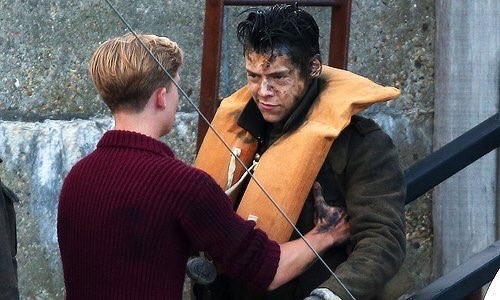 Harry Styles and Tom Glynn-Carney on the set of Dunkirk. Harry with co-star Tom Glynn-Carney filming a scene for Dunkirk. Wallpaper and background images in the 해리 스타일스 club tagged: photo harry styles dunkirk.